George Hallam, an economist at Greenwich University, has been nominated as the London People Before Profit candidate in the forthcoming bye-election in Feltham and Heston. But can he do it? The challenge by Mr Hallam follows the death of MP Alan Keen (Labour), who passed away this November aged seventy-three. Mr Keen had been ill with cancer for some time. 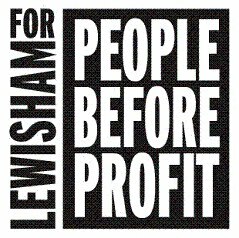 The London People Before Profit movement grew out of what was the former Lewisham People Before Profit (LPBP). People Before Profit was set up, not by politicians, but by community campaigners in South London who were angry about Government and political leaders who simply put the interests of Big Business before community need. The London People Before Profit Party brings together a broad group of people of varying political backgrounds who are united under one banner, the People‘s banner: Community Need Before Private Greed. Such was the rush to meet the qualifying deadline for the bye-election that the London People Before Profit emblem was overlooked and so will not appear on the ballot paper. However, as London People Before Profit spreads its message across the London boroughs, the choice of Hallam as its candidate looks set to cause election upset. At Feltham and Heston, George Hallam will represent the only political party to support the 2 million public-sector workers on strike this week. Simply known as ‘the candidate from nowhere’ Hallam is now gaining much ground, aided with the backing of local union branches and, due to a lack of coverage by the national media, via public engagement on blogs, Twitter and Email, together with Facebook. The message is clear: Hallam is the people’s choice. But can George do it? The bold move by Lewisham People Before Profit gives some Hounslow voters the chance to choose a candidate for London who may soon answer that question.